YEH DER ENTERPRISE CO., LTD is a professional ODM / OEM manufacturer of gear and various gear driving units. 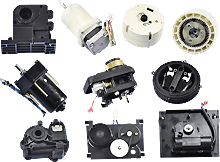 All procedures from design, mold making, injection molding, assembly and packing are accomplished under one roof. 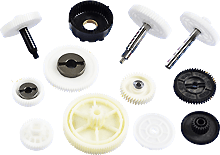 Yeh Der Gear Manufacturer is the leader in design and manufacture of plastics gears products. 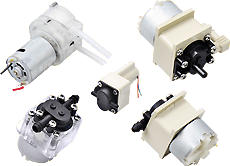 The products contain plastic worm gears, helical gears, pinion gears, plastic spur gears, plastic bevel gears and other gears. All procedures from moldflow analysis, mold design, making to injection molding are accomplished under one roof. The acquirement of ISO 9001 certificate ensures that each step of manufacturing process is under stringent quality control. Our state-of-the-art precision measurement equipment includes concentricity gauges, 2-D vision measuring instruments and gear rolling test machines, etc. In answer to customer's needs, the engineering staff are committed to continuous improvement in every aspect of the products and services we deliver. 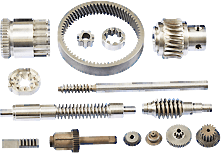 In addition to existing gears, custom-made products according to customers' designs and specifications are welcome.